Two months after Hurricane Maria devastated the island of Puerto Rico, recovery remains slow-going. 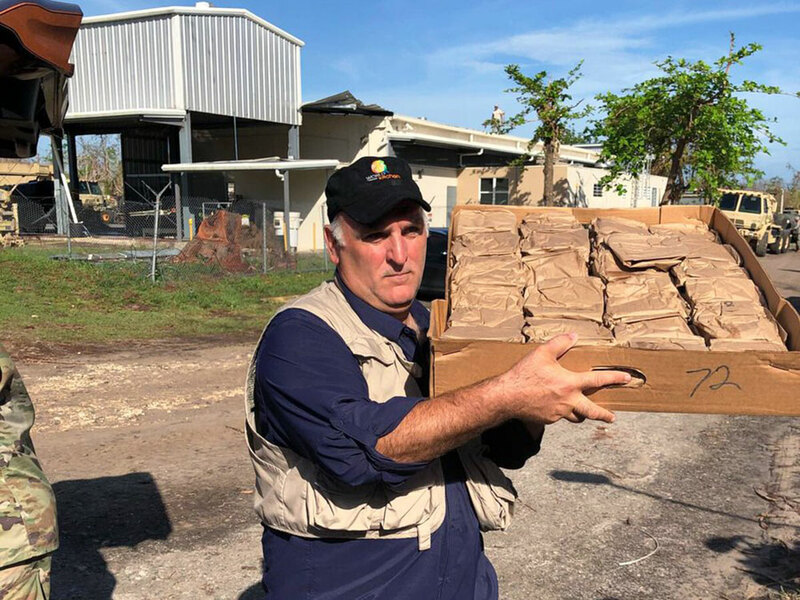 But there has been one bright spot: chef José Andrés, who, along with his nonprofit World Central Kitchen, has served more meals than any of the other larger and more experienced disaster relief organizations currently on the island, as part of its #ChefsForPuertoRico initiative. Today, that number of meals reached a total of three million, as announced on Andrés' Instagram. The three millionth meal was cooked by Puerto Rican chef Ventura Vivoni in Adjuntas and appears to involve a very large amount of potatoes, judging by the photo. Big news! #ChefsForPuertoRico has served over 3 MILLION fresh meals to people in need! @chefvivoni cooked the 3 millionth meal in our Adjuntas kitchen. So proud of our @WCKitchen team!! The hot plates and sandwiches served by the network of chefs and volunteers that make up #ChefsForPuertoRico have reached communities in need across all 78 of Puerto Rico's municipalities via their 20 kitchens, but as World Central Kitchen's immediate, day-to-day emergency relief and recovery efforts wind down, it will transition into a new set of programs. The next phase will focus on longer-term projects designed to provide lasting support to the communities WCK has served. Among these will be efforts to restore the fleet of food trucks that have been used so heavily in the relief efforts, so that they can be used in tandem with recovering restaurants on the island, whose kitchens WCK will also work to restore. Some trucks will continue to be used to distribute more food to areas that remain in critical need, but the general shift in focus is meant to aid the local restaurant industry's recovery, which, Andrés says, could otherwise be swamped by the competition of mass free food. The group also plans to announce projects involving sustainable agriculture and local fishermen early next year—also a subject of Anthony Bourdain's recent Parts Unknown episode on Puerto Rico, which provides some vital background on the difficulties the island faced even before the hurricane hit. It's enough to make you want to get involved yourself, so why not starting by donating to the most effective chef-lead recovery around?